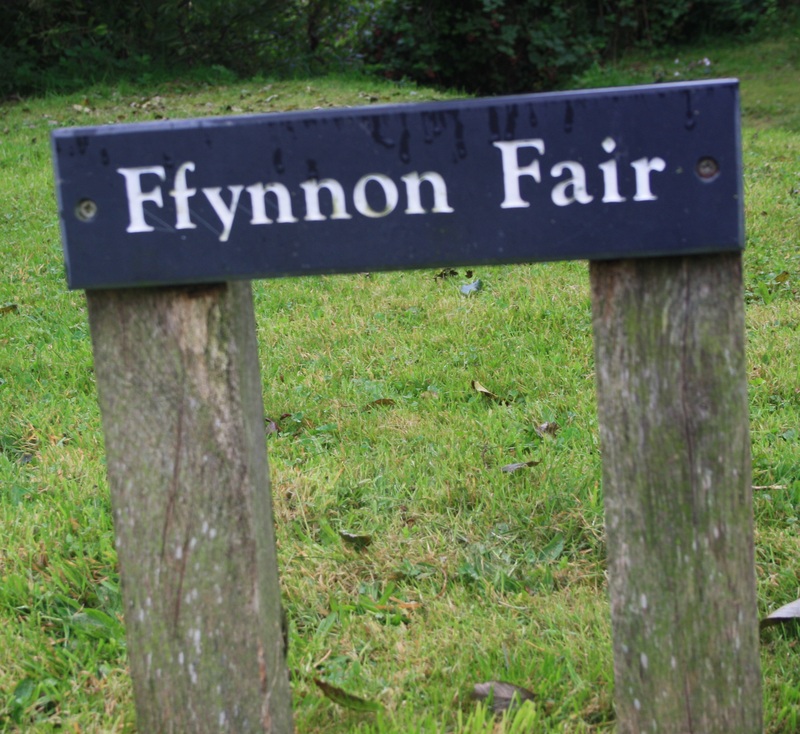 Ffynnon Fair lies at the centre of the small community of Bryncroes close to Bottwnog towards the tip of the Lleyn peninsula. So central indeed that we found we had actually parked right beside it after driving down the small single track lane into the village, even before having pulled out the map to look for it. 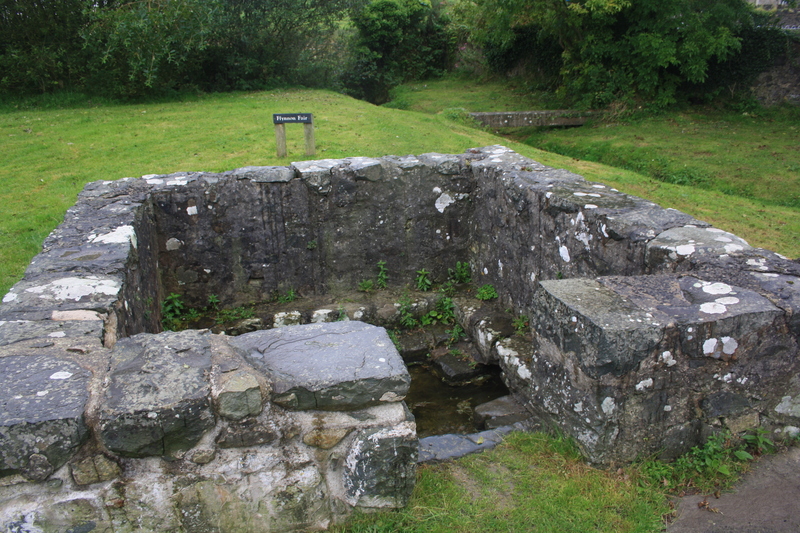 The well is marked by a small sign, the same construction as that at nearby Ffynnon Aelrhiw, suggesting a coordinated campaign to label the wells of the area is underway. 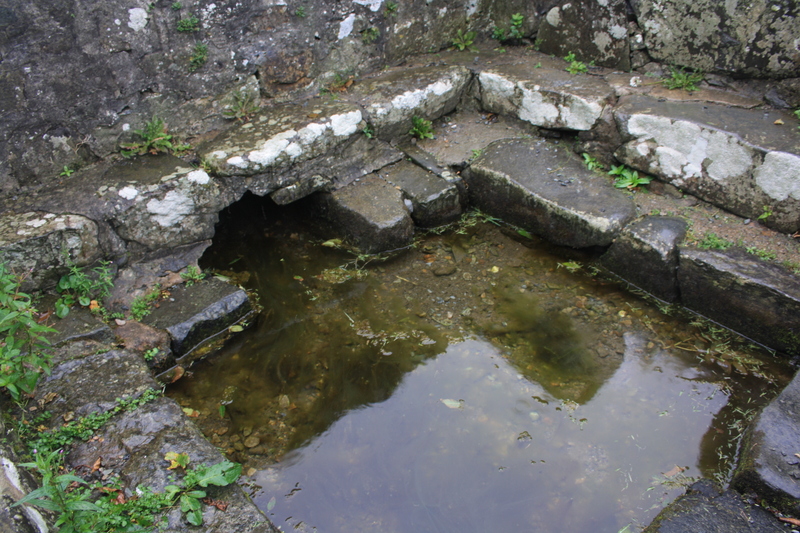 Ffynnon Fair itself is a small rectangular basin, stone paving slabs around the sides and surrounded on three sides by a small stone bench. 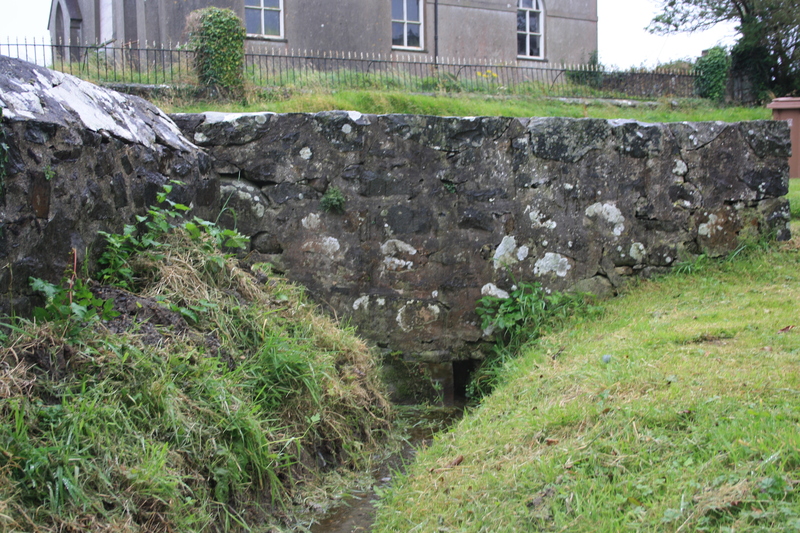 The stonework around the well dates probably to the seventeenth century. This in turn is surrounded by a low stone wall. It is directly beside the road, and is accessed by a couple of steps leading downwards. 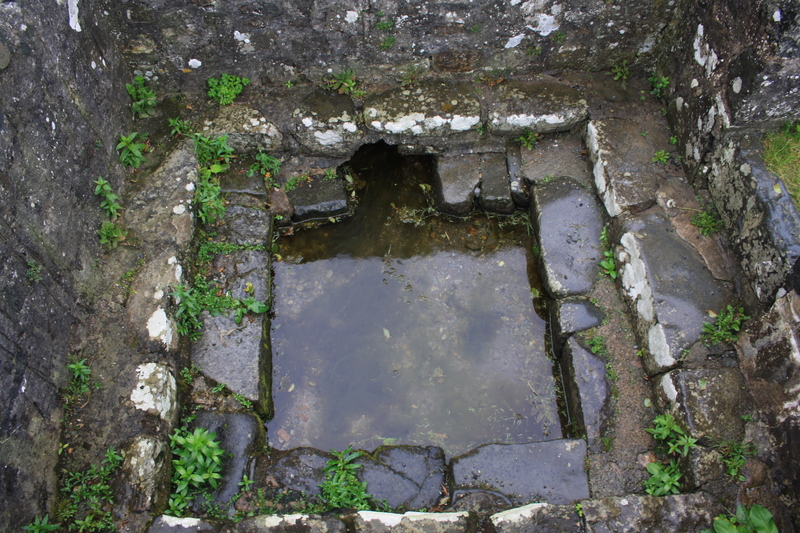 Water rises inside the basin, forming a pool a couple of inches deep before passing out through a gulley under the paving, forming a fast flowing stream. The stream flows downhill some twenty yards or so before joining up with a larger stream at the bottom of the field. The whole site has been substantially restored in recent years and is well maintained. It must be said that the well, although well kept, and sited on a smooth lawn, has a feeling of sterility. It lacks the sense of place or awe that the more remote, more abandoned wells attract, and its lack of recorded history leaves it with very little to interest the visitor.